Are you building a new home? Renovating your existing garage? Has your garage door been broken or damaged? 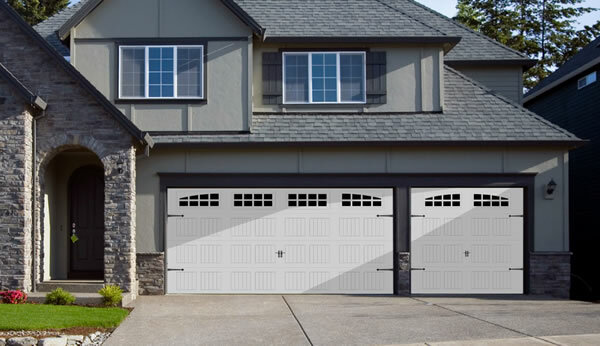 DoorTech Industries is a full service Garage Door Company in Vancouver, BC. We provide homeowners and building contractors with garage door solutions for their homes. We can complete everything from new garage door installations, to garage door repairs, garage door security and automatic garage door systems. Are you building a new home with a garage? Maybe you’re building a new shop on your property and you’d like to have some automatic garage doors installed? DoorTech Industries residential door division specializes in garage door installations for homeowners throughout Vancouver, BC. We are dealers for several of the most popular residential garage door systems and our technicians are very knowledgeable. From Aluminum windowed garage doors that provide maximum visibility of your classic cars to insulated steel versions that can keep your heated garage warm in the winter and cool in the summer. We have many garage door solutions available for new construction projects. Automatic garage door systems can fail, usually it’s a spring or a cable, but sometimes the damage can be more severe such as a car or truck accidentally “bumping” it and destroying one of the panels. Don’t panic! These panels can actually be replaced. The springs, cables and mechanical system that raises and lowers your door can also be serviced and repaired too. DoorTech Industries residential garage door division can provide service and repair for all makes of residential automatic garage door systems.